A picture I took during the set (BØRNS has sweet style) | Later, we got a picture with him! 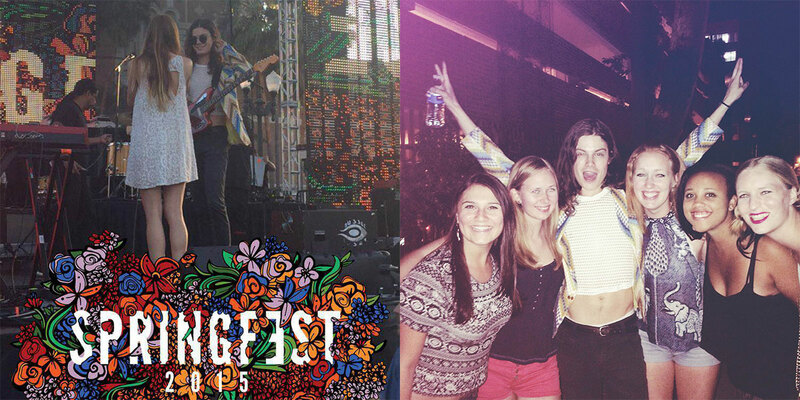 On Saturday USC held it's annual Springfest music concert, kind of a mini-Coachella on campus and for free! The big headliner was 2 Chainz, but I was far more excited to see BØRNS and Portugal. The Man. It was a gorgeous 85º day, so it felt so nice to sit out on the grass, drink some boba, and listen to fabulous live music. I wore a turquoise knit sundress with a cool open back, a dangly necklace from Urban Outfitters, classic white high-tops, and my favorite new shades from Madewell. I did my hair in two low buns à la Miley Cyrus, but to be honest I rocked that look in preschool way before Miley ever did. Happy Easter! My mom drove up and we went out to brunch at Terrine, a delicious brasserie up in the Beverly Grove area. 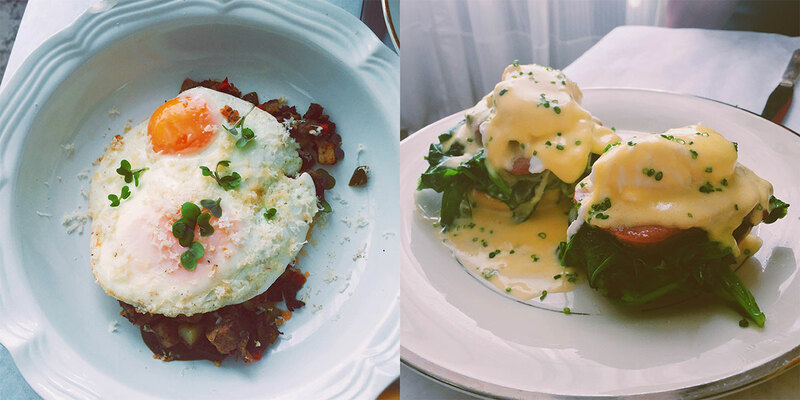 We got short rib hash and eggs benedict, so I'm content for forever, basically. I also got an Easter basket full of goodies! Because you're never too old for pastel-colored candies. I wore a floral silk dress from Madewell and offset it with a perfect denim jacket and tan ankle boots.